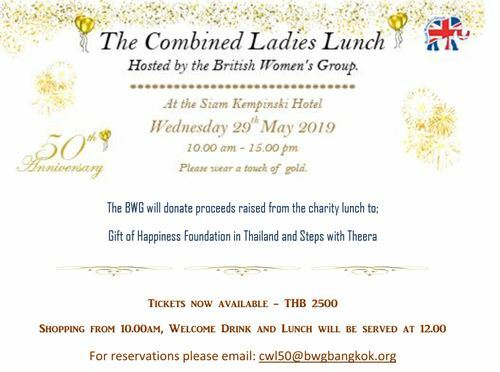 Come celebrate the British Women's Group's 50th Anniversary! Please wear a touch of gold. Proceeds will be donated to the Gift of Happiness Foundation and Steps with Theera.